Frankie Lovato, retired jockey and founder of racing educational organization Jockey World, will be trying a different kind of fundraiser on Monday, June 24 for his annual Jockey Camp: he will be hosting and performing a one-man radio concert. Lovato is a musician outside of his industry work, and has compiled a lengthy list of 101 songs available for request on piano or guitar. Listeners of his online Jockey World Radio Show can request a song in exchange for a donation by emailing the show in advance at info@jockeyworld.org or calling 714-583-6807 during the 8 p.m. to 10 p.m. broadcast. Lovato says he thought of the fundraiser after getting several requests to perform at other racing-related charity events. The goal isn’t to raise funds just for the camp itself, but for the students. Lovato’s Jockey World Radio Show is a bimonthly internet radio broadcast aimed at educating new fans about the racing industry; it’s an extension of his website and racing social network, Jockey World. Lovato launched his annual Jockey Camp in 2009 to give kids interested in the racing industry a chance to learn more about life on the backstretch. Students ride Equicizers and master simulated riding exercises at the three-day camp at his home base in Ohio. 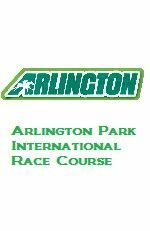 As part of the festivities leading up to the Arlington Million, five retired jockey greats will return to the saddle for one race and square off against five of the top riders in the Arlington Park standings in the "Arlington Fab 5" vs. "Legends" turf race complete with pari-mutuel wagering to be held on Friday, one day before the 30th running of the Arlington Million. 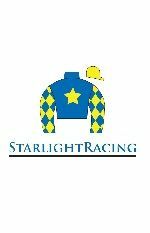 Slated to take a one-day break from retirement are Hall of Fame jockey Earlie Fires; Patti Cooksey, who has been participating in similar Legends races the last few seasons; former Arlington Park mainstay and now HRTV broadcaster Zoe Cadman, former Eclipse Award winning rider Frank Lovato Jr.; and Midwestern mainstay Larry Melancon. Jockey World Featured in the Paulick Report! When Big Brown made his Triple Crown bid in 2008, 13-year-old Kayla Jarvinen followed every moment, watching on TV with her family. She couldn't stop thinking one thing. I want to be a jockey. Kids want to be lots of things when they grow up, but Kayla was serious. "I don't think my parents thought much of it at the time," she said. "But I haven't stopped talking about it for the past four years." 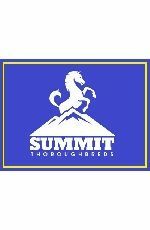 So how does a teenager with no riding experience and whose family has no equine or racing connections follow such a dream? Read the whole story here! June 28, 2012, Jockey World's Frankie Lovato guest on "Hoof On the Till" ABC News Radio Australia. Click to watch a listen! Julie Krone Scheduled for Jockey Camp 2012! Norwalk Ohio – Jockey World Inc. is pleased to announce that legendary jockey Julie Krone will be assisting founder and executive director Frankie Lovato Jr. at the 4th annual Jockey Camp to be held July 27-29, in Norwalk, Ohio. Jockey Camp is an annual three-day event that offers an introductory course employing “virtual training” in the fundamentals of Thoroughbred racing. While no actual horses are used, Jockey Camp campers keep busy with an agenda of more than 24 activities and lessons in a variety of settings, including time spent aboard the famous Equicizer horse simulator, a scale-model racetrack complete with markers, chutes and gaps, and entertaining classroom presentations. 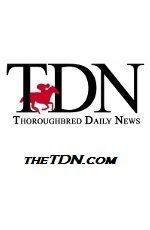 “This is a great opportunity for me to share what I know about racing, and what better setting than Frankie’s Jockey Camp and his eager bunch of campers,” said Krone, a member of the Thoroughbred Racing Hall of Fame class of 2000. 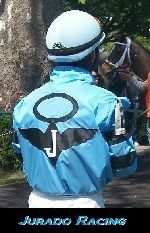 It is the goal of Jockey Camp to offer a fun and information-filled window into the horse racing industry, particularly for those who hope to pursue a career as a jockey or exercise rider. 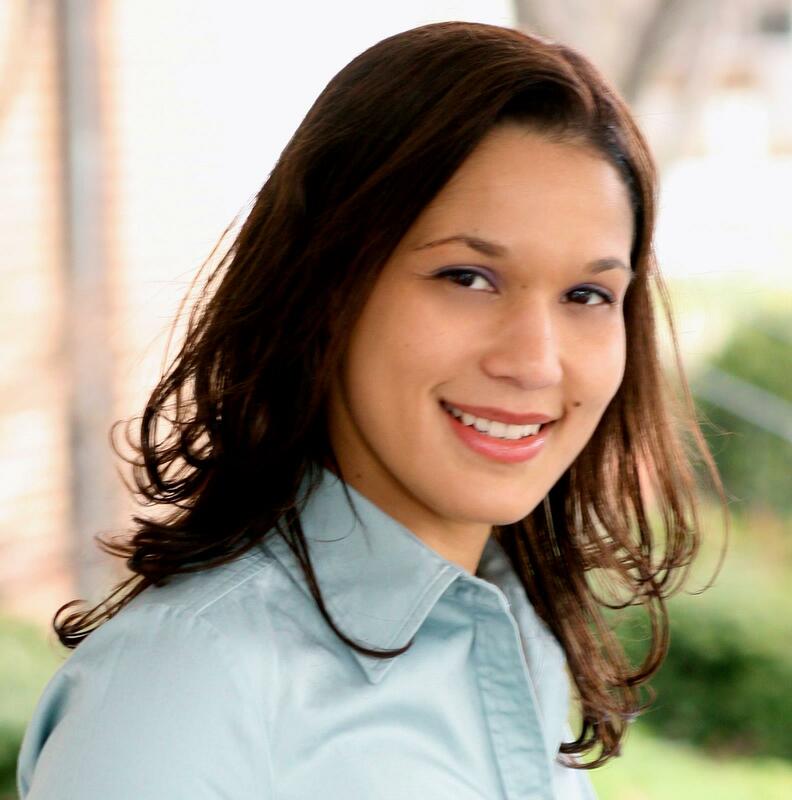 "Although the average student is around 18, we accept and review applications for all ages. It’s really a great learning experience for anyone!" said Lovato. Prospective campers should apply early since there is a selection process for the limited number of camper reservations available. Sponsorship opportunities and packages are available for campers who wish to apply for financial assistance. Frankie Lovato Jr. – Winner of the 1980 Eclipse Award as North America’s Oustanding Apprentice Jockey when he topped the apprentice lists in Ohio, Louisiana, New Jersey and New York. That season Lovato won 211 races, and his mounts earned nearly $3 million. 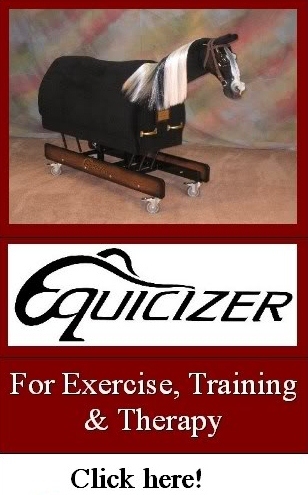 While recovering from an injury sustained in 1981, Lovato invented the Equicizer, a riding simulation tool now being used world-wide for exercise, training and therapy, as well as rehabilitation for those with disabilities. Lovato, who retired from racing in 2004 with 1,686 victories from 15,603 mounts, has enjoyed mentoring others throughout his career. In 2009 he created the inaugural Jockey Camp and the companion website JockeyWorld.org, offering such learning tools as the Jockey World Academy and Jockey World Radio – all falling under the Jockey World’s mission to improve, promote and provide education, health and safety in the world of horse racing. Julie Krone -- The first woman to be inducted into the Thoroughbred Racing Hall of Fame, Krone is the only woman to have won both a Triple Crown and a Breeders’ Cup event, taking the 1993 Belmont Stakes with Colonial Affair and the 2003 Breeders' Cup Juvenile Fillies aboard Halfbridled. 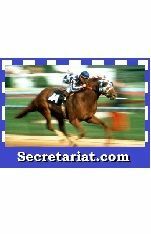 She won multiple riding titles at major tracks such as Belmont Park, Gulfstream Park, Monmouth Park, Atlantic City and the Meadowlands on her way to a career win total of 3,704. USA Today lists Krone as one of the 10 toughest athletes ever, while ESPN includes her among the 40 greatest women athletes of all time. Since she retired from full-time competition in February of 2004 Krone has been a TV analyst, inspirational speaker and student of natural horsemanship training techniques. Her daughter, Lorelei Krone, was born in 2005. 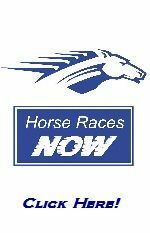 About Jockey World – Established in 2011 by creator Frankie Lovato Jr, Jockey World is an organization dedicated to providing education that includes health & safety to all ages of race fans. Jockey World also provides resources, tools and guidance to anyone who wishes to pursue a career in the horse racing industry. Jockey World is not a gambling related organization. 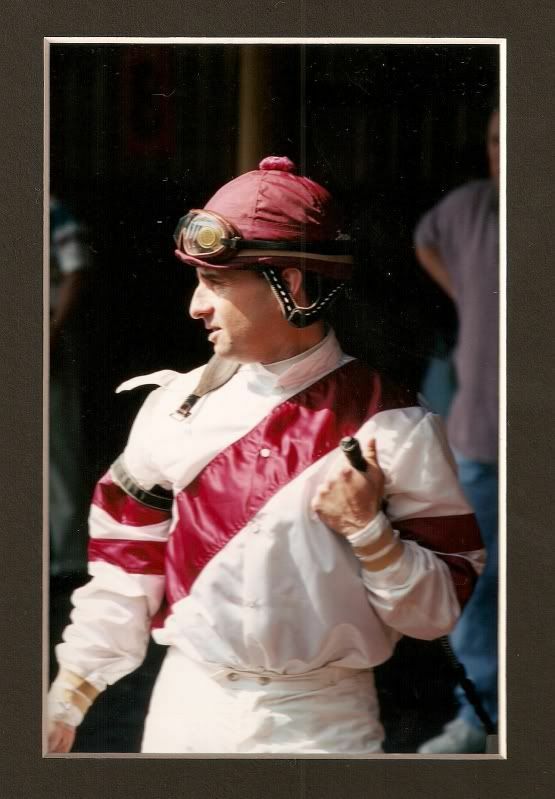 The Ups and Downs in the Life of 2nd Generation Jockey Frankie Lovato, Jr. Learn the life of a second generation jockey and how he's helping aspiring riders. Frankie Lovato, Jr., is a horseman of many talents. As a professional Jockey, he has won over 1,600 races with more than $41 million in purse earnings. Even after his retirement, he remains active in the equestrian community. He invented the Equicizer, created a jockey camp and developed a website called Jockey World. Find out what inspires Frankie to help equestrians become better riders and aspiring jockeys to achieve their dreams. 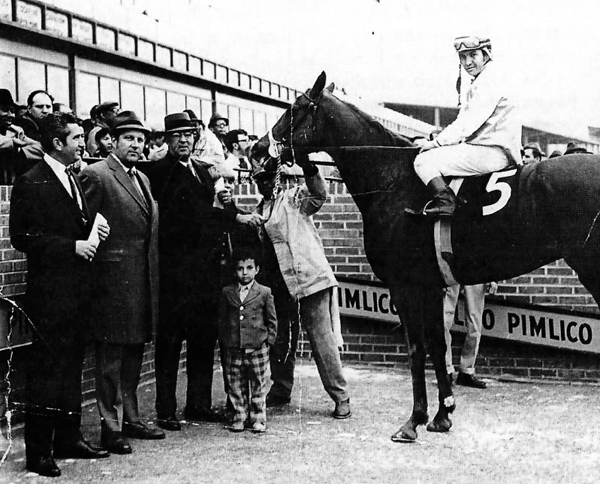 (photo right) - Frankie Lovato Jr "My First win picture with my Father at 7 years old, Pimlico Race Course, 1970." Former jockey Frank Lovato Jr.’s Jockey World, announces a new addition to the Jockey World website - Jockey World Academy. The Academy is an online education program that offers a solid foundation for individuals with a desire to further their knowledge or pursue a career in the horse racing industry. Individuals who enroll in the Academy will study information covering a broad range of topics in order to gain insight into the horse racing industry. After successful completion of the coursework, students will receive a Certificate of Achievement and will have gained the knowledge to pursue a career in horse racing. 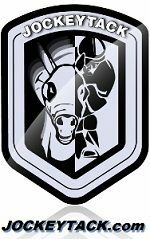 “Jockey World Academy is a comprehensive online study course that provides a beneficial and valuable education into the world of horse racing. 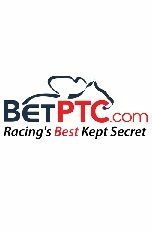 It offers anyone with a true passion for horse racing a greater foundation of knowledge that will enhance career building opportunities and achieve a much better understanding of the sport. We are excited to extend this opportunity to all individuals and look forward to it being a success!” Frank Lovato, Jr. stated. Lovato consulted and collaborated with master educator Fred Clemons to develop the program’s curriculum. All coursework materials, modules, and exams will be given online. Specific enrollment and program details are explained at www.jockeyworld.net/academy.htm. For more information, contact Jockey World at info@jockeyworld.net or visit the web site at www.jockeyworld.net. Frank Lovato, Jr. is also the creator and host of Jockey World Radio, Jockey Camp and of the Equicizer, the #1 training tool used by jockeys world-wide. Jockey World Featured On HRTV! Creator of Jockey World Frankie Lovato Jr gets interviewed on HRTV's Race Day America Sunday September 18 by Joanne Jones and Gary Mandella and discusses the newly launced Jockey World Academy! Click PLAY to watch Frankie Lovato On HRTV! 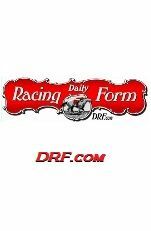 Bloodhorse.com Features Jockey World Academy! compiled by NTRA Communications, 212-521-5316. Julie Krone Takes Legends Win! THE word legend is often applied to those who don't truly deserve the epithet, but a genuine living legend claimed the second Leger Legends race as Julie Krone - the most successful female jockey of all time - romped to victory on Invincible Hero. Krone racked up 3,704 winners in a stunning career in the United States and turned down an offer to star in reality TV show Survivor in order to ride in this year's race - and notch her 3,705th career win. Jockey World TV Videos Of The Week! Frankie's "Jockey Shorts!" Fred's "Healthy Living Tip of the Week!"